13 Why use Landing Page Software? When it comes to making a sale, the landing page is the most important part of your site. Landing pages are required for single products, large inventories, services, and memberships, so almost every online business needs to take them seriously. Unfortunately, there is no single template that will work successfully across all businesses, but it is possible to focus on a number of key factors that will heavily influence your conversion rate. In the earlier days of the Internet, people were more forgiving of a badly designed website. However, quality design is essential if you want visitors to stay on your site for any length of time. Choose a clean, readable font, space out your content, and use sub-headings within your written text. Good design will often go unnoticed, but this is a positive thing for a landing page. While a logo is part of the overall design, it should be able to stand on its own as a recognizable symbol of your business. A logo can help to inspire trust, creating an appearance of professionalism and authority. Let a professional graphic designer create something that can potentially represent you for many years. A landing page can have all the key elements, but if your offer is not compelling you won’t make many sales. In some markets, an offer might simply be a single product. However, in other markets it might be necessary to explain exactly what buyers are getting. Information products, membership plans, and complex services are all examples of where you have to make the offer compelling. A call to action might seem insignificant, but it can have a major impact on your conversion rate. Your call to action should be prominently displayed, making it impossible to miss. Place a number of buttons and text links throughout the page, with the length of text determining how many occurrences are required. While a landing page should detail clearly what is for sale, it is also important to explain the benefits of making a purchase. Benefits are more intangible than features, but they are typically the reason for choosing to buy. Performing market research should uncover a lot of information about your potential purchasers, enabling you to speak directly to the consumers. A sales page could at one time be largely text, but Internet users are far more used to multimedia in their everyday life. Video has become the preferred way to digest information for many people, while others still like to read longer text if it is formatted well. If possible, try to create a page that can suit as many people as possible, with video, images, and text being used to get your message across. A good impression is always important, but it is particularly important for a landing page. From an SEO perspective, if your page gives a negative impression, you will lose visitors quickly and have a high bounce rate. For paid traffic, losing visitors will result in an increased ad spend. Make sure the first things a visitor observes is intriguing, whether this is a headline, a discount offer, or the opening image of a video. Pricing, including the way it is presented, is extremely important for a landing page. For an eCommerce site, you might want to show how much of a discount is being offered, whereas a service or membership might come with different price structures. Aim to make your pricing clear, with any shipping costs always being transparent. Testimonials and reviews can help sway opinion. People are reluctant to buy anything that is unproven or untested by others. By providing testimonials and reviews you can show the unbiased views of people who have already used the product. This social proof is powerful in assisting a buying decision. A guarantee helps to increase conversions, but you can also benefit from fewer customer service queries. If you stand by your product, most of the time there should be no reason not to offer a complete refund. A guarantee can even be more elaborate, such as a lifetime refund or double your money back, if you are looking to make a statement. Finally, your landing page is unlikely to be perfect from the start. Testing will be required to see what works, with the aim of getting small increases in your conversion rate. Test individual elements, monitor such factors as conversion and bounce rates, and aim for a landing page you are happy with. Each of these factors can make a difference to your landing page conversion rate, but only testing will show how well they work. However, in most cases these factors can be used to positive effect, resulting in improved conversions, a better user experience, and an increase in product sales. One thing you can do is if you are using WordPress you could always make a page and depending on the theme you are using is select landing page from the back end. Or you could also use landing page software. There are several companies today that offer good, drag and drop editing that’s easy to use. You could use Unbounce, Lead Pages, Thrive Pages or Instapage. These are all good platforms and all will work with WordPress. These will all make it easy to design the actual page you want. 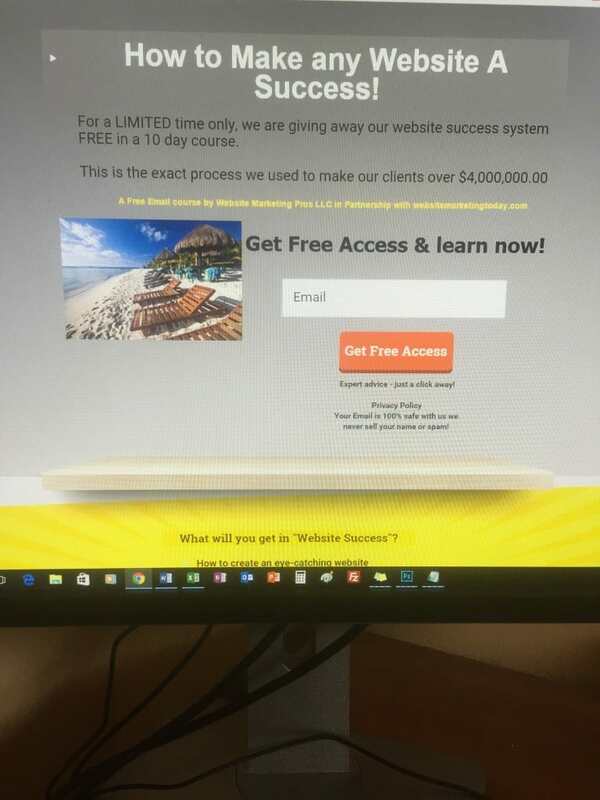 And, if you are spending money for traffic then a landing page is a great place to send your paid traffic to. Why use Landing Page Software? Plain simple for, features. If you take the time to visit some of these websites you will quickly see they all offer many features. Some, may be better than others and it all depends on your needs. With many of them you will be able to design the page you want quickly with their editor. This is a little harder to do in the regular WordPress editor. Another great feature is A/B split testing. This is a must for any serious online marketer, who wants to make the best of their business and sales. Good landing page software should also come with a number of templates for you to choose from. While, you will always want to be able to make your own pages, a template gives you a nice head start for designing. And, will help out a great deal if you are new to page design. You will also want software that can connect into whatever services you are using. This will be email providers mostly but should include easy connections to any popular analytics also. Always consider mobile also. In fact mobile traffic is beating out regular desktop computer traffic by leaps and bounds these days. Custom landing page design is important for any business or serious affiliate marketer. It’s a great way to collect leads and send your pay per click traffic too. The reason it works so go is, with a landing page you can easily get rid of distraction like menu navigation and other things that will easily send your visitors down other paths. While this is good for SEO, paid traffic is a different story.